I spent this morning in the Exhibit Hall, an enormous room with 189 booth containing products and information that any geologist could be looking for – textbooks, field equipment (such as waterproof paper and rock hammers), x-ray diffractometers, rock soap, geologic jewelry, and more. In addition to walking around and picking up flyers and information from various organizations, I volunteered for two hours to represent the Council on Undergraduate Research – Geoscience Division (GeoCUR). 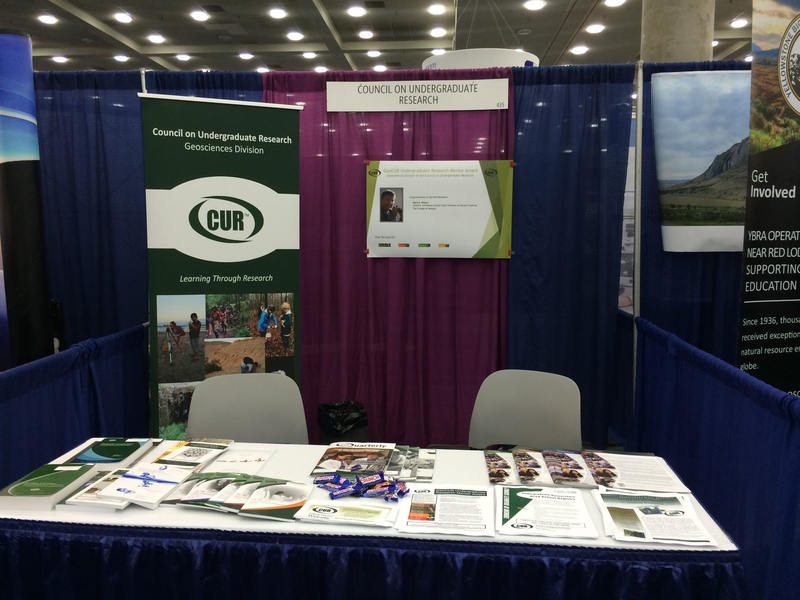 I’ve been an elected councilor for GeoCUR for many years, and this organization has been so critical in my development as a faculty mentor to undergraduate student researchers. It is important to me to give my time back to an organization that has given me such a foundation for my career. Here are other photos from the rows and rows of exhibits, as well as the booths of universities that were promoting their graduate programs in the geosciences (these were very popular rows for undergraduate students to go through and explore graduate program opportunities!). And Dr. Hansen ended his talk with one suggestion I have heard at just about every conference this year – read the book/watch the movie of Merchants of Doubt. 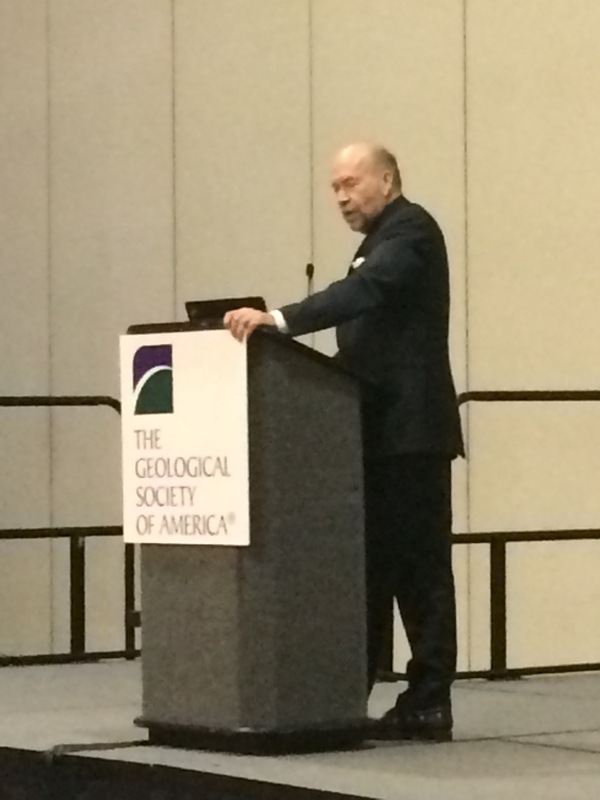 My afternoon was filled with additional meetings at the GSA meeting – stay tuned for the summaries!